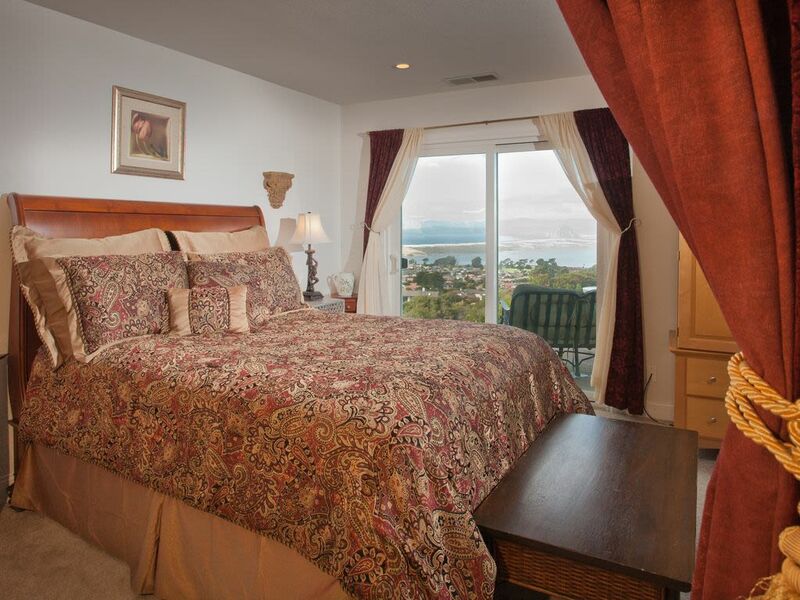 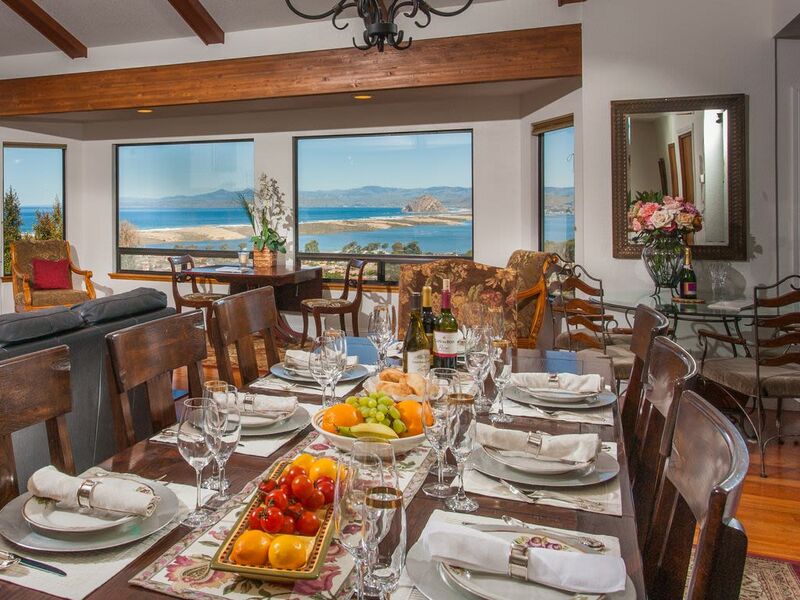 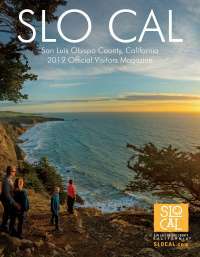 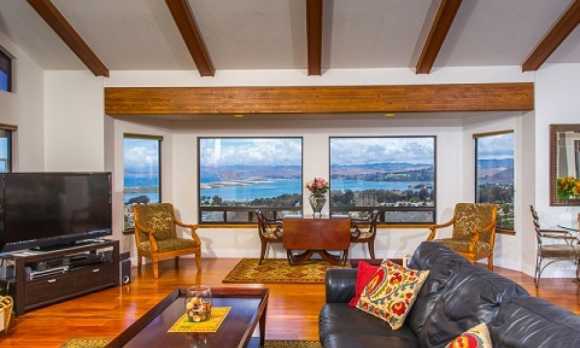 Great for family gatherings and close to beaches, Hearst Castle, Morro Bay and Montana de Oro. 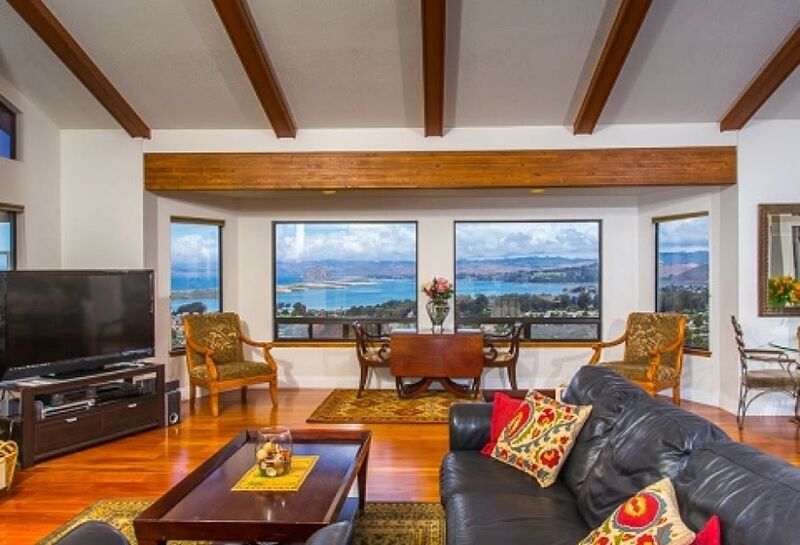 This beautiful and comfortable two-story home has vast and remarkable 180 degree unobstructed ocean views. 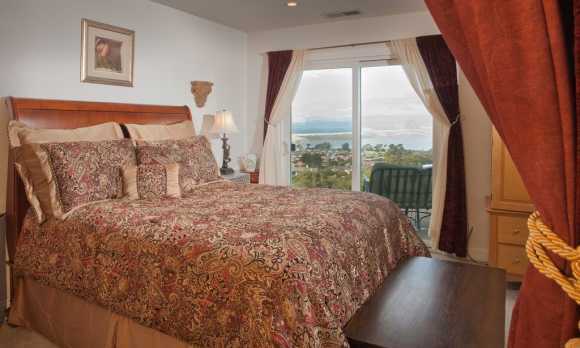 There are 3 bedrooms with a 4th sleeping room with a total of 6 beds - 1 king, 3 queens, 2 doubles, and a rollaway. 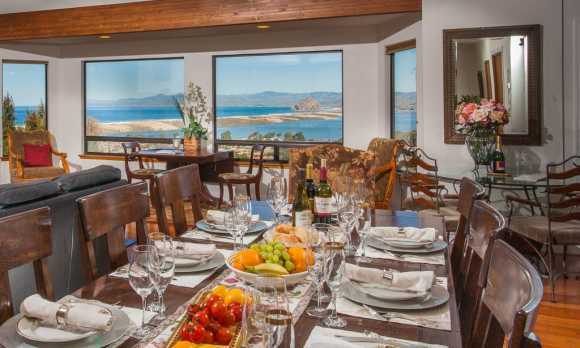 The house also has 3.5 bathrooms, private decks, gourmet kitchen and a 2 car garage with extra parking in the driveway.